Eleanor Lavinia Brown grew up in Winnipeg, Manitoba where she attended public school and later enrolled at the University of Manitoba. In 1939, Brown graduated with a Bachelor of Arts and then received her teaching diploma in 1941. She taught in rural Manitoba up until her service with the Canadian Army during the Second World War. Brown then went back to the University of Manitoba and graduated in 1949 with a Bachelor of Architecture. 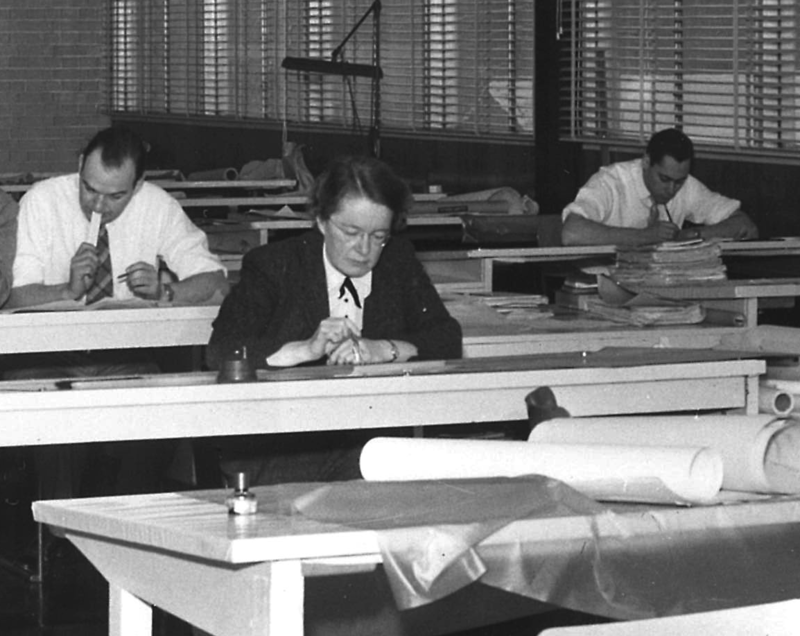 For several years after her graduation, Brown worked in drafting and architecture. In 1955, Brown began working for the architectural firm Green Blankstein Russell (GBR) and remained there until 1960. One of the most significant projects Brown worked on during her time at GBR were the plans for the Winnipeg Air Terminal. Brown passed away on June 8, 2000.